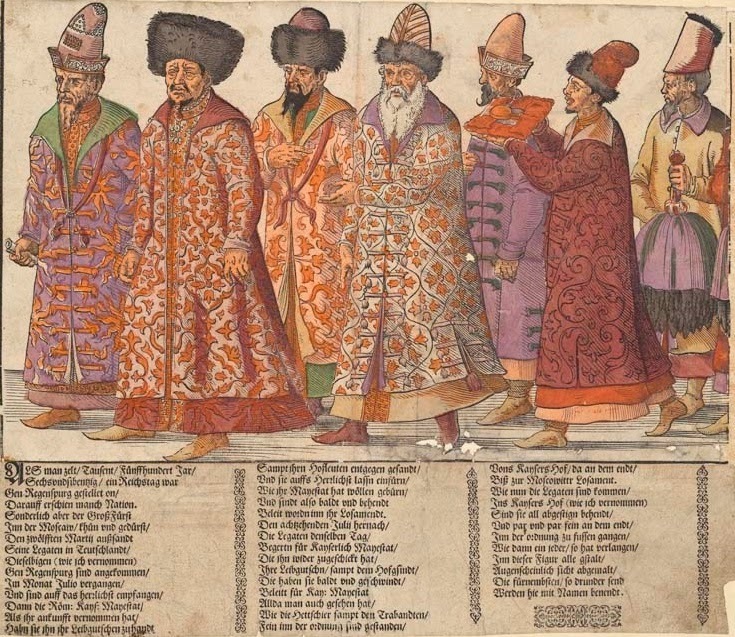 The Zürich Central Library has put most of the collection online, and a great delight they are to peruse. 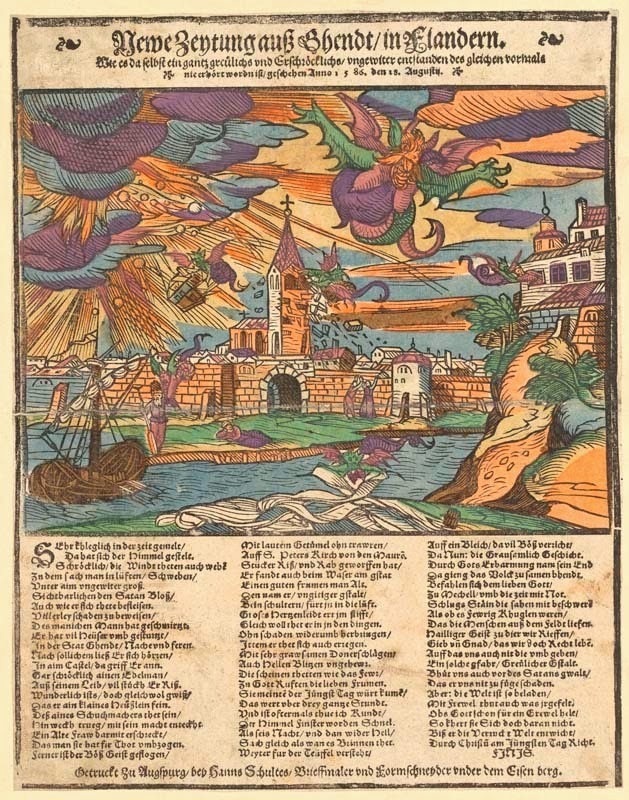 Above, a plague of locusts from 1542. 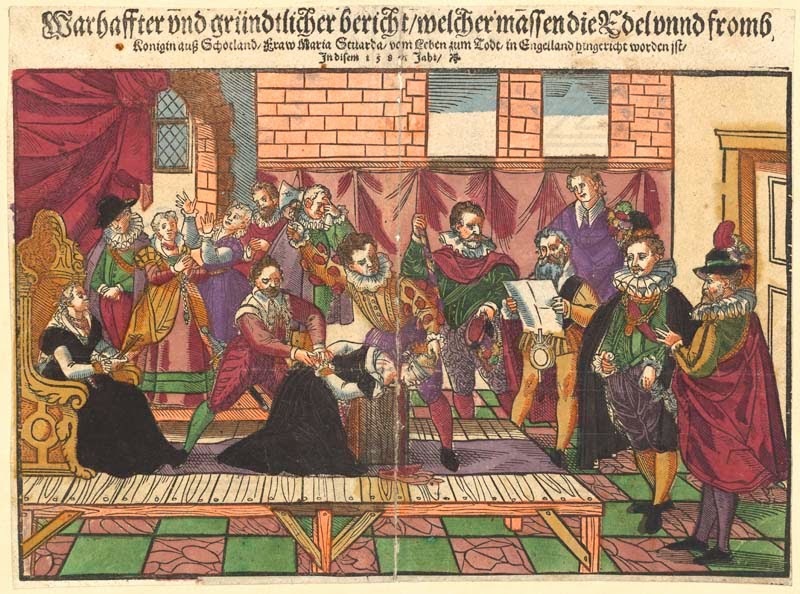 The execution of Mary Queen of Scots in 1587. 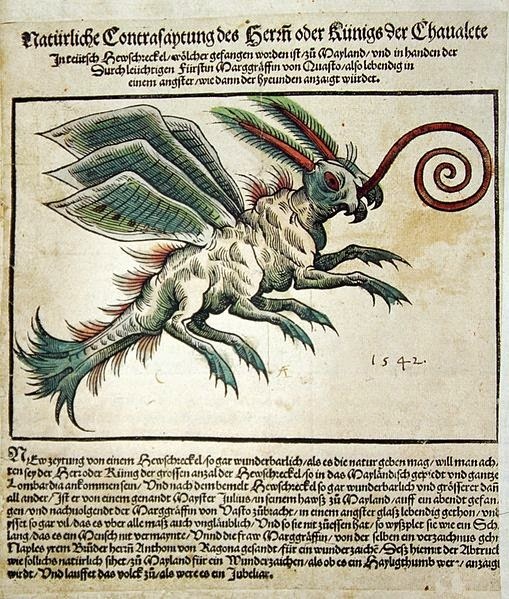 Devils causing terrible storms at Ghent in Flanders, 1586. 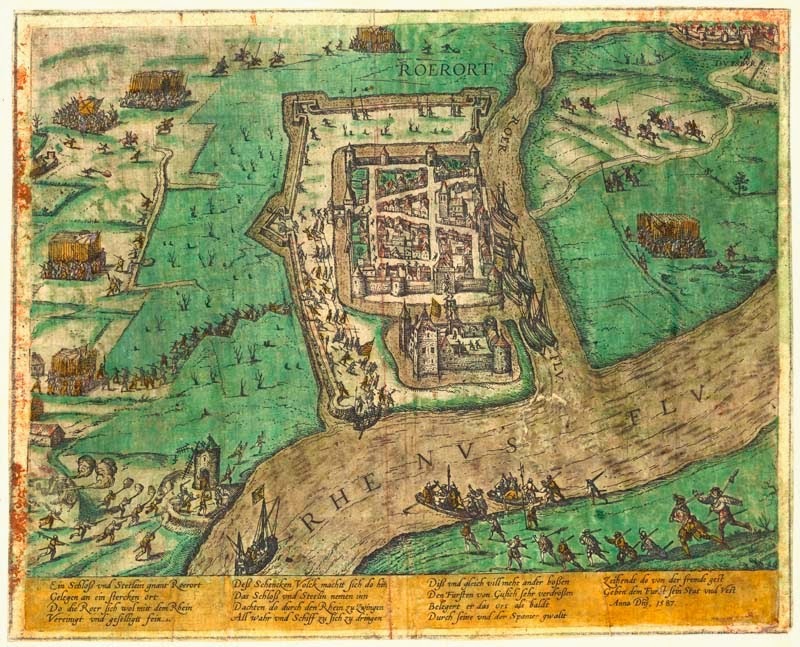 Roerort on the Rhine, fought over by the Spanish and Dutch in 1587. 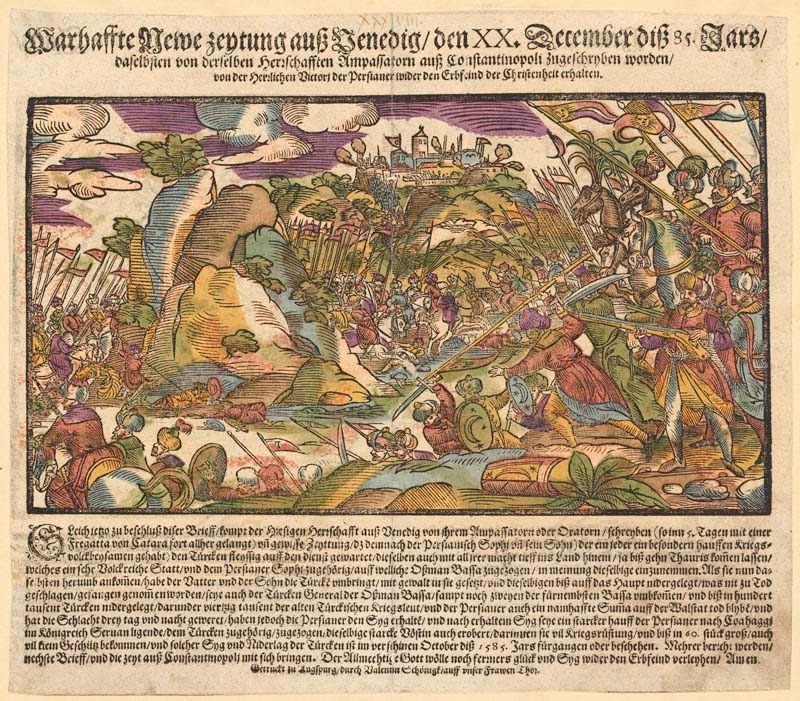 News from Venice: victory of the Persians over the Turks at Tabriz, 1585. 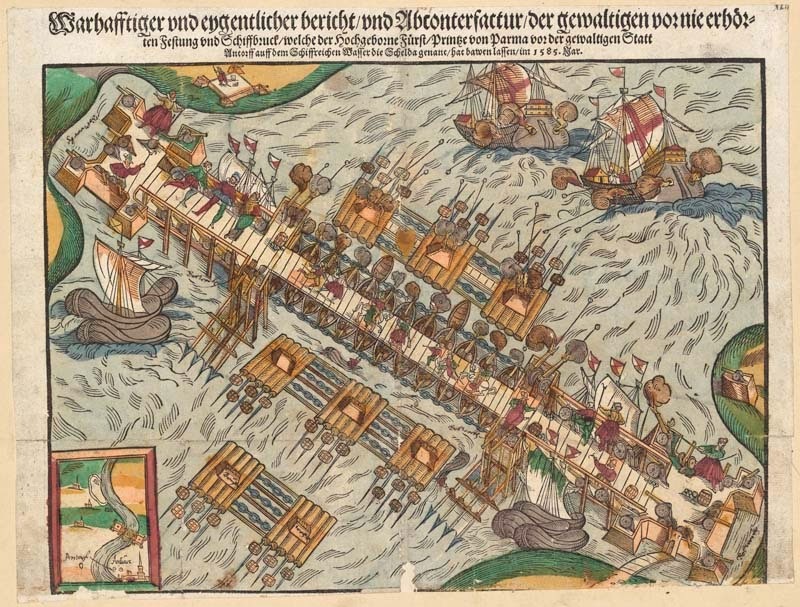 A "military wonderwork," the pontoon bridge built over the Scheldt during the siege of Anwterp in 1585. 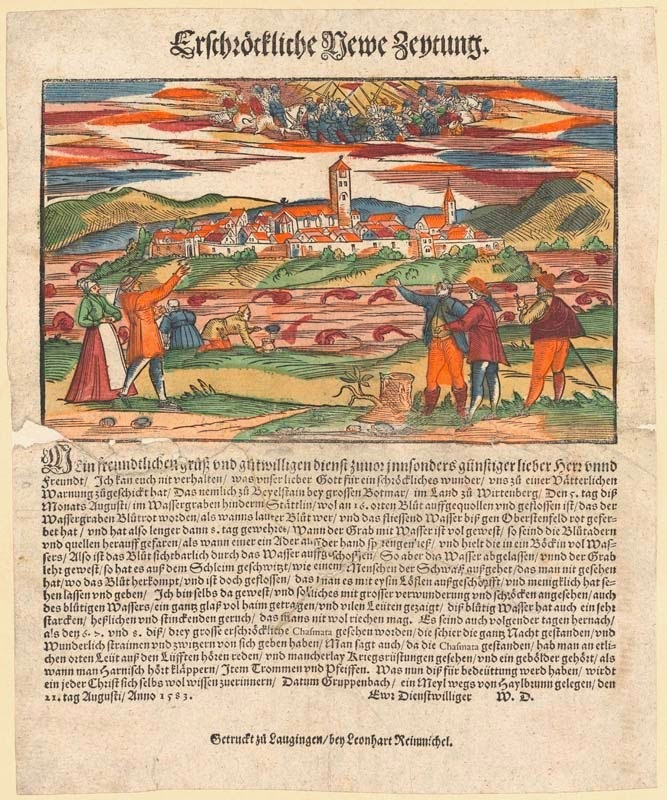 In 1583, the water in the moat around the town of Beilstein turns blood red. 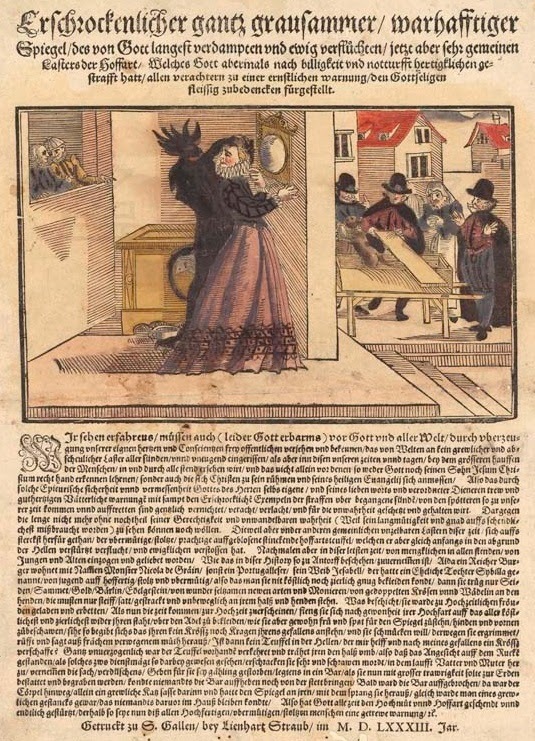 The story of a merchant's daughter in Antwerp who was ensnared in a mirror by the devil and then murdered for her finery; a warning against vanity and luxury. 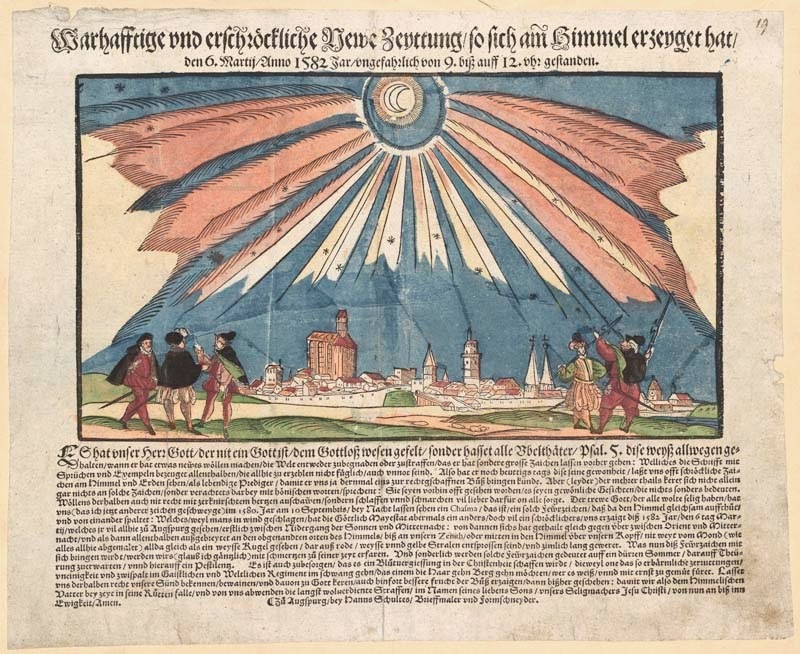 Appearance of the northern lights over Augsburg in 1582, interpreted as a warning of catastrophe. 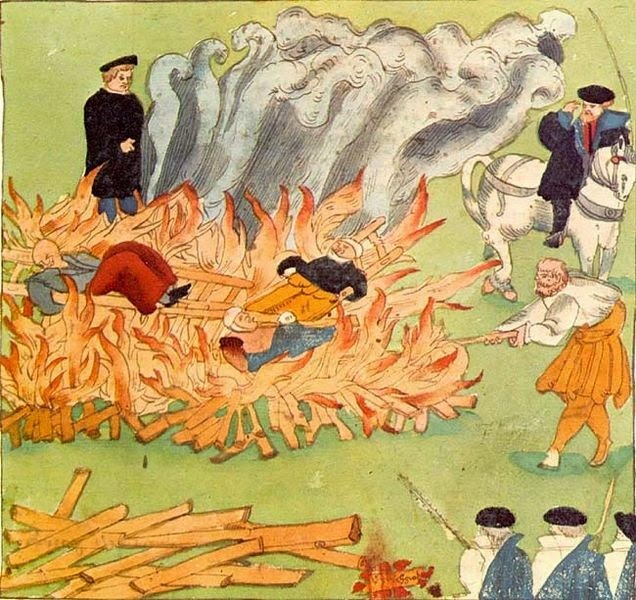 Burning of three witches in Baden, Switzerland, 1583. 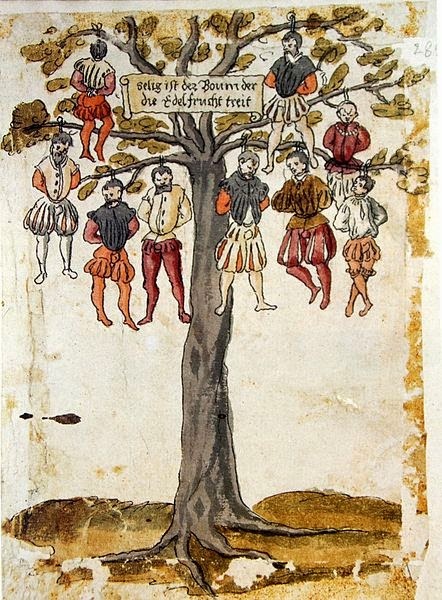 Gluten, Resveratrol, and Dietary "Science"